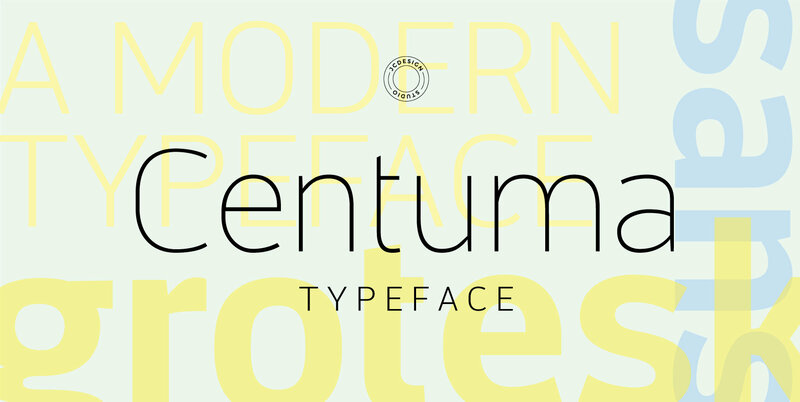 Centuma typeface is a modern grotesque sans font. It's mild contrast and multiple different styles – Black, Bold, Medium, Regular, Light and Thin. The organic shape is in focus, and especially in e, s and &. The starting point is “g”, which has the traditional shape. Centuma stand out in the crowd of similar fonts thanks to its complexity. It combines dynamic elements with a certain degree of stability and function.